John Malkovich, in my opinion, is one of the greatest actors of the 21st century. I remember being terrified of him when I was younger, when he played an assassin in the film ‘In The Line of Fire’. And once again John Malkovich has shown how versatile he really is. Photographer Sandro Miller, wanted to recreate his favorite iconic images as a tribute to his most beloved photographers. Being a long term friend of Malkovich, he had the perfect model to stand in for the images. 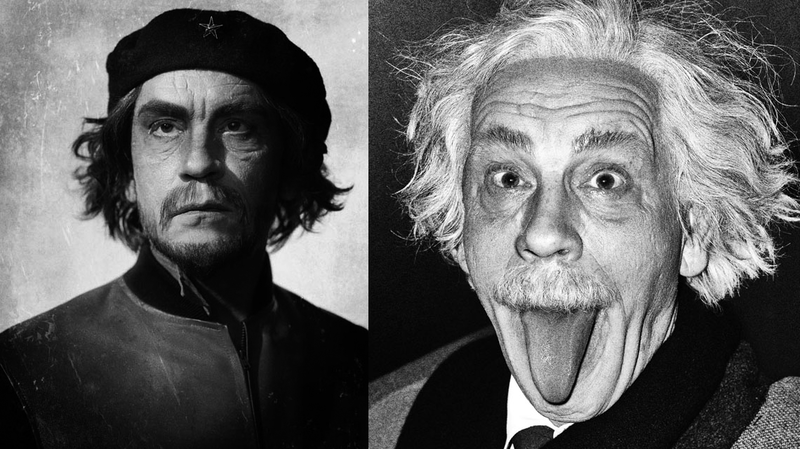 “[Malkovich’s] belief and trust in my work is unprecedented, granting me many opportunities to work with him. Over the past 17 years I would approach John with various personal projects… he has never said no, and has always been open to my ideas,” says Sandro.